Are you planning a visit to The First State? From the rolling hills of Delaware's "Chateau Country" in the Brandywine Valley to the pristine beaches of southern Delaware, and everywhere in between, Delaware has what you are looking for - whether that is tax-free shopping or an adventure in one of our state's many beautiful parks. Born in Wilmington and raised in Claymont, Governor John Carney has been working for the Delaware people for more than 30 years. 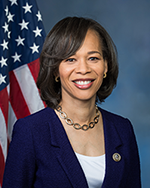 From 2011 to 2017, John served as Delaware’s lone member of the U.S. House of Representatives. 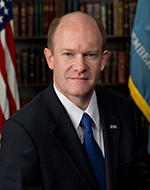 Prior to his time in Congress, John served two terms as Delaware’s Lieutenant Governor. 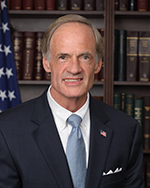 John also served as Delaware’s Secretary of Finance and Deputy Chief of Staff under then-Governor Tom Carper. Before that, he was Deputy Chief Administrative Officer for New Castle County, and on the staff of former Senator Joe Biden. The second of nine children, John was born in Wilmington and raised in Claymont by his parents, Jack and Ann Carney, who were both educators. He attended St. Mark’s High School and led the school’s football team to its first state championship in 1973. After graduating high school, John attended Dartmouth College where he continued his football career and earned All-Ivy League and Most Valuable Player honors. When John returned to Delaware, he coached Freshmen Football on the staff of UD Head Coach Tubby Raymond, while earning a Master’s Degree in Public Administration at the University of Delaware. John lives in Wilmington with his wife, Tracey. They have two sons, Sam and Jimmy.